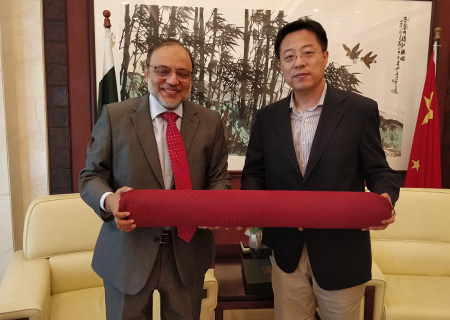 Dr Hasan Sohaib Murad, Chairman, Board of Governors called on H.E Lijian Zhao, Acting Ambassador at the Embassy of People's Republic of China in Islamabad. 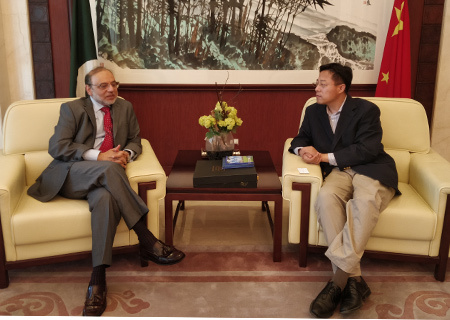 They exchanged views about the enduring friendship of China and Pakistan that has weathered the test of time. 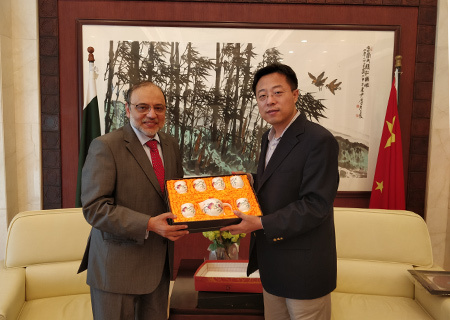 His Excellency assured Dr Murad of supporting the initiatives of CPEC Center at UMT. Lt. Gen (Retd.) 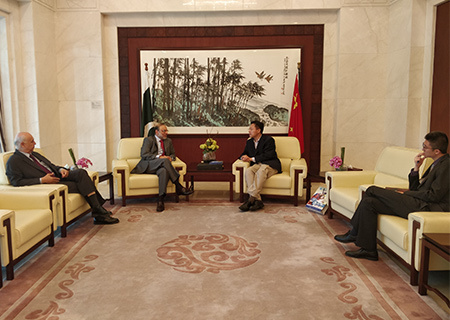 Javed Hassan, Chief Advisor, and Ibrahim Qazi, Director, Office of Chairman, were also present at the occasion.